I saw this book got mentioned on some website and the first thing that caught my eye was that Jessica Abel is the comic artist author. This is a comic book on storytelling techniques of radio shows. Or what makes successful radio shows successful. Some of the shows mentioned in the book are This American Life, The Moth, Radiolab, Planet Money, Snap Judgment, Serial, Invisibilia and other lesser known ones. I bought this book because I'm a fan of the Planet Money show put out by NPR. I wanted to find out how they actually create such interesting and engaging shows. If you like radio or storytelling, then this is the book to get. If you know nothing about radio, maybe you might want to get this book to learn more and hopefully learn something from the insight provided by veteran hosts and producers, such as Ira Glass from This American Life. Ira Glass appears as a comic character in this book together with Jessica Abel to walk you through the inner workings of making the shows. 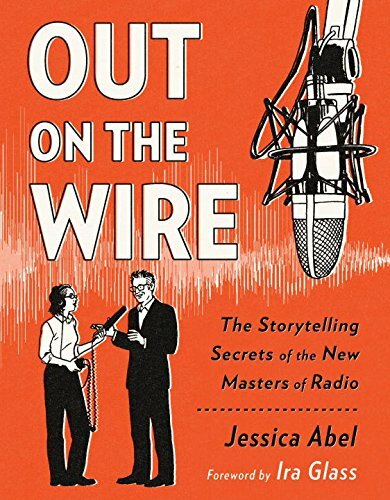 Jessica Abe interviews all the journalists working at those radio shows and comes up with this book that talks about storytelling, the structure and how to go about getting people to talk, and to package or angle the story in a way that people will find engaging to listen to. Each producer or journalist will have a different take on what makes for an interesting story, and it's enlightening to see how they apply those techniques into actual stories that have been broadcasted. Putting out a radio show is extremely hard work and you'll learn all about that in this book, and in the process develop a new sense of appreciation for the people working behind. I like books that goes behind the scenes to find out how something or someone works. Do not get the Kindle version because the text is too small to read.